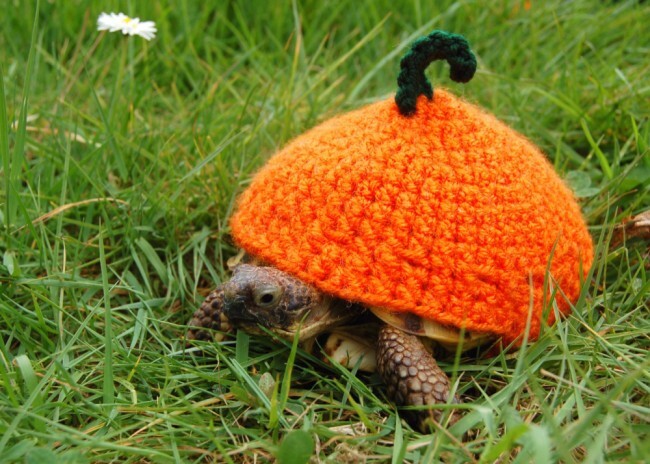 We all know about the craze for fashion cats and dressed up dogs, but have you ever seen tortoise fashion? 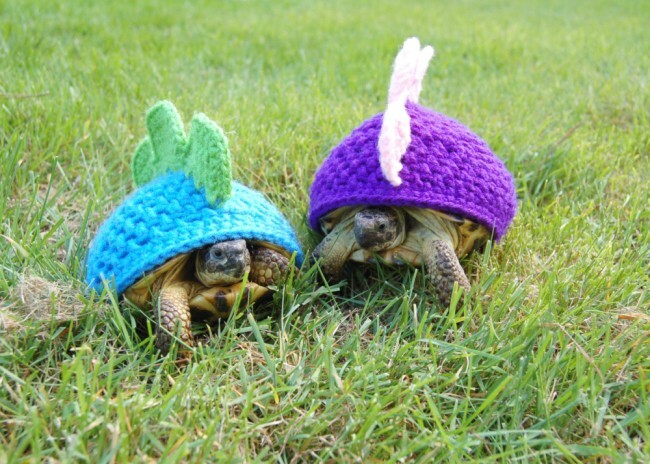 Slightly mad Canadian pet-lover Katie Bradley, 36, has knitted these woollen cosies for her fashion conscious pet tortoises. Katie says the colourful costumes are very popular with tortoise owners across the globe and she can barely keep up wit demand from tortoise owners across the globe. Lets hope she doesn’t put on a tortoise fashion show as it might take quite along time for the pets to walk down the fashion catwalk (or shoudl that be tortosie-walk?). I was wondering if you cou make my tortises sweaters and how much?